Monday will soon turn into a ratings battleground with brand new shows for the Big Three channels: first is KBS, bringing back the fun high school vibes through its new Mon-Tue slot: Sassy Go Go. Boasting the young cast: Jung Eun-ji, Lee Won-geun, Chae Soo-bin, Ji Soo, and Cha Hak-yeon, the show follows the journey of the characters involved in cheerleading squads. Get ready to root and fall for the friendship, as well as the growth of the characters throughout the series! 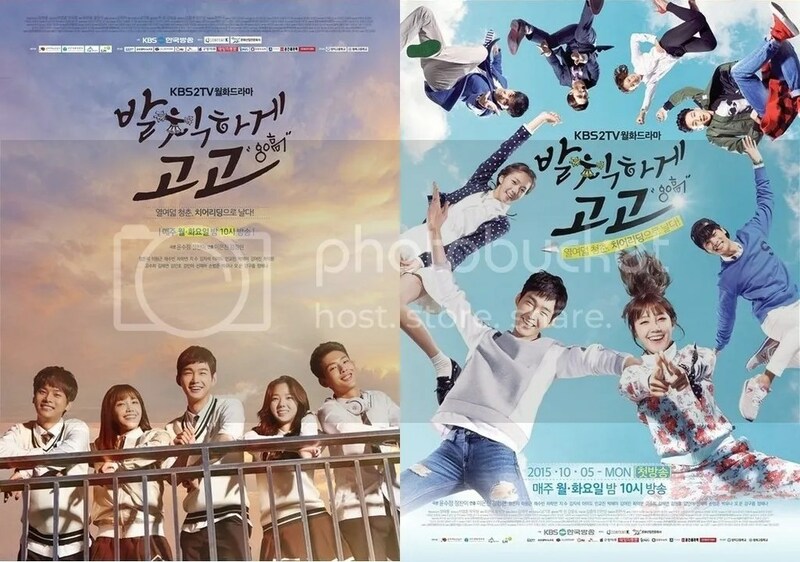 Catch it on KBS2 beginning 5 October and KBSWORLD starting on 12 October under its English title, Cheer Up!. After six months of sageuk, MBC secures its Mon-Tue slot following Splendid Politics/ Hwajung for another 50-episode drama: Glamorous Temptation, starring Joo Sang-wook, Choi Kang-hee, and Cha Ye-ryun. This will be a melodrama centering around three people since their younger days, and the younger cast includes Kim Sae-ron, Nam Joo-hyuk, and Kim Bo-ra. Premiering on 5 October, the drama is from the duo behind weekender Golden Rainbow. 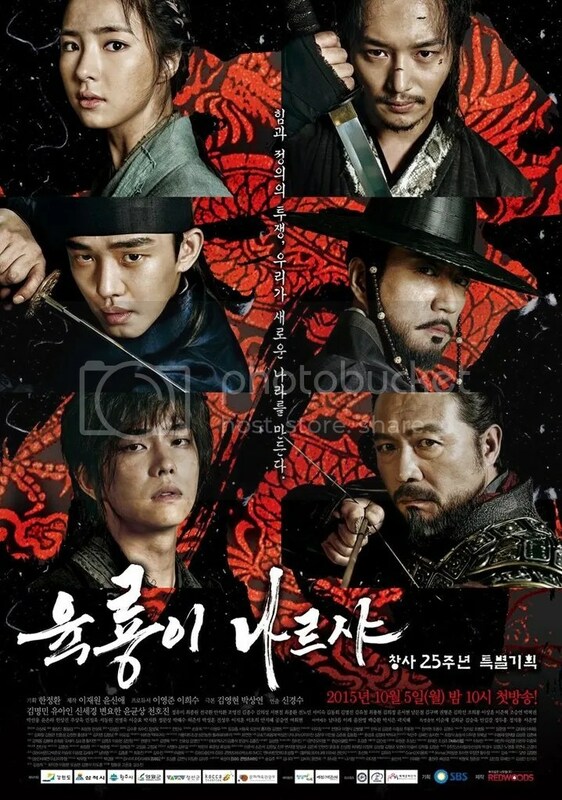 Another drama joining the 5 October premiere is Six Flying Dragons, SBS’s historical drama of the year. Following the story of six figures behind the founding of Joseon Dynasty, the series is also touted as the prequel to the station’s 2011 drama, Tree with Deep Roots. Starring Yoo Ah-in, Kim Myung-min, Byun Yo-han, Shin Se-kyung, Chun Ho-jin, and Yoon Kyun-sang, this will be a 50-episode drama. 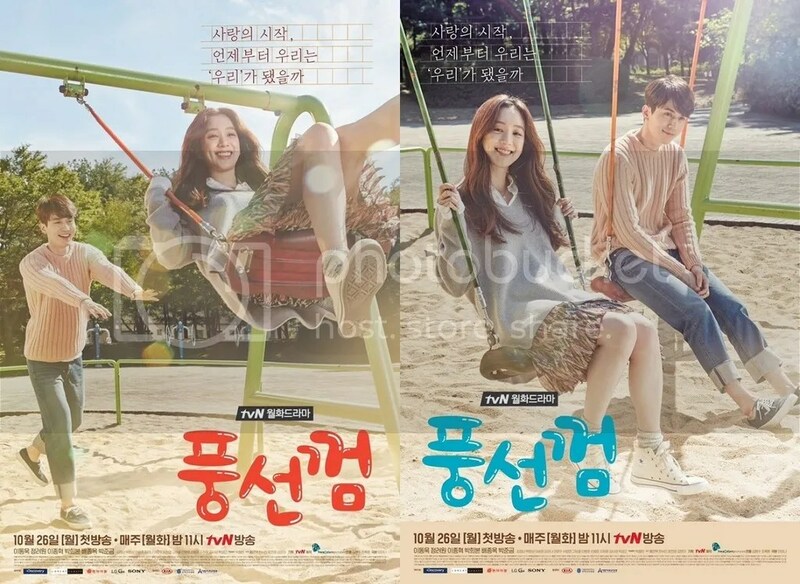 tvn will enter the band of October dramas later with Bubblegum, a bubbly show with Lee Dong-wook, Jung Ryeo-won, Lee Jong-hyuk, and Park Hee-bon. Not much info is known about the drama so far, but the bubbly teaser indicates that this will be a cute and adorable story of people from a radio station and a hospital falling in love. Mark your calendar: 26 October is the date! The Wed-Thu slot will be officially completed with The Village: Achiara’s Secret boarding the new drama train, after Gaekju and She Was Pretty begun airing this month. 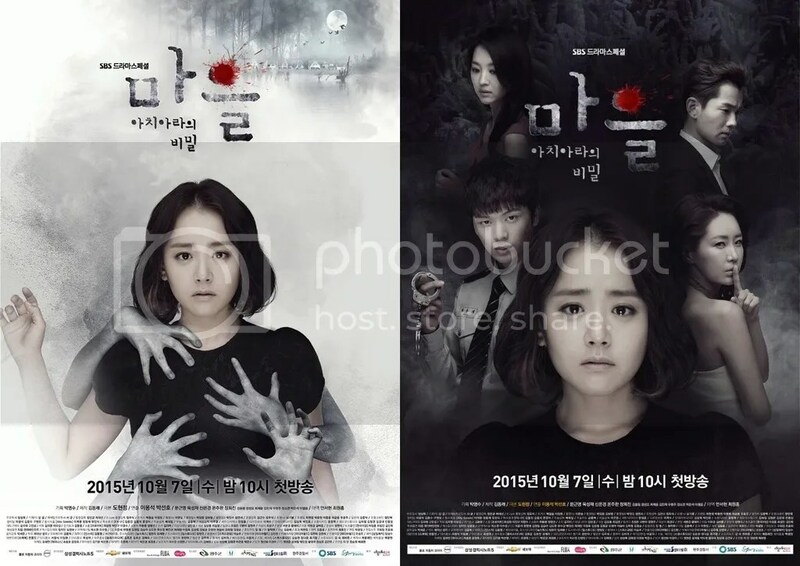 Moon Geun-young plays an English teacher who enters a quiet village, only to discover a dead body and a series of unfortunate events happening after her arrival. The mystery thriller will begin on 5 October and includes a list of promising cast: Shin Eun-kyung, Yook Sung-jae, Ohn Joo-wan, and Jang Hee-jin. Fridays and Saturdays have become a lot more enjoyable since the cable stations chose the Fri-Sat slot to air their dramas. The good news is more cable shows are starting this October! jtbc is taking up the challenge of drama adaptation that is Awl. Based on a webtoon of the same title, the series follow a man who cannot abandon the wrong things in front of his eyes. He goes on to work at a supermarket and witnesses the unjust treatment received by the contract workers, causing him to join the labour union in an effort to fight for the rights of the workers. Awl will meet the viewers on 23 October, airing once a week on Friday nights. Starring Ji Hyun-woo and Ahn Nae-sang. The third child of the Reply series will be here soon! 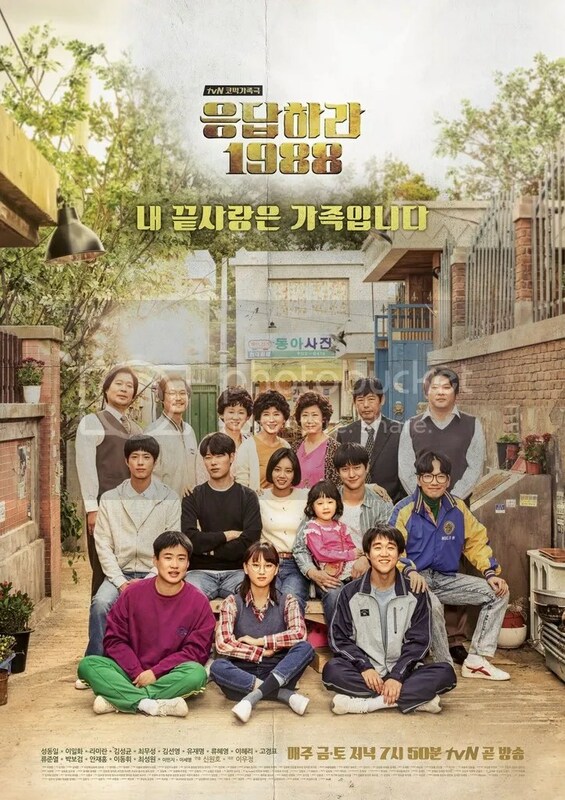 Reply 1988 is slowly teasing us with the promo, and the premiere date has been set to 30 October on tvn. The poster hints at stronger family motif this time, with the families of the leads living as neighbours. 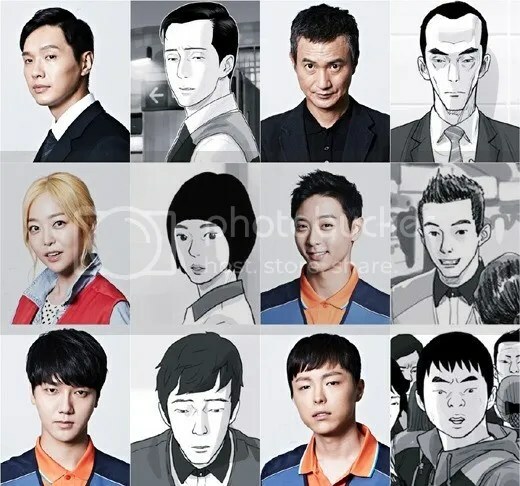 Hyeri, Park Bo-gum, Go Kyung-pyo, and Ryu Hye-young are among the leads, together with the returning cast of previous Reply series: Sung Dong-il, Lee Il-hwa, and Kim Sung-kyun. I guess I’ll watch all these except Glamorous temptation. Wow four series starting on October 5th , which is less than a week away yay. I’m only interested in Bubblegum and Sassy Go Go, but i’ll keep my eyes on the others too. I hope we will be satisfied with the new dramas! Busy, the word isn’t strong enough lool. I’m excited for most of them but specially for Six Flying Dragons (I still need to fight with myself…50 episodes :/) and Bubblegum because of the cute premise. Also curious about Sassy Go Go, I love high school dramas can figh it! Sassy Go Go has this strange charm on me, probably because of the leads 😀 I haven’t checked out any HS dramas this year so hopefully it will turn out great! Bubblegum only for me; so waiting for it. I would have watched The Village if Kim Jae-Wok was still in that production, but when they let him go, I lost interest in it. I love the male leads of Six Flying Dragons but I do not like the female leads, (and could not ship either one of them with any of the wonderful male leads) so I will not watch that either. It will be just be annoying. I might have given Awl a try, but I think no one is subbing it.